'Tammies' throughout the world are being offered the perfect Christmas gift with the launch of a special 2019 calendar. The Staffordshire market town of Tamworth, from where the term 'Tammies' is derived, has been captured in all its glory in a series of stunning images featured in a new calendar for next year. 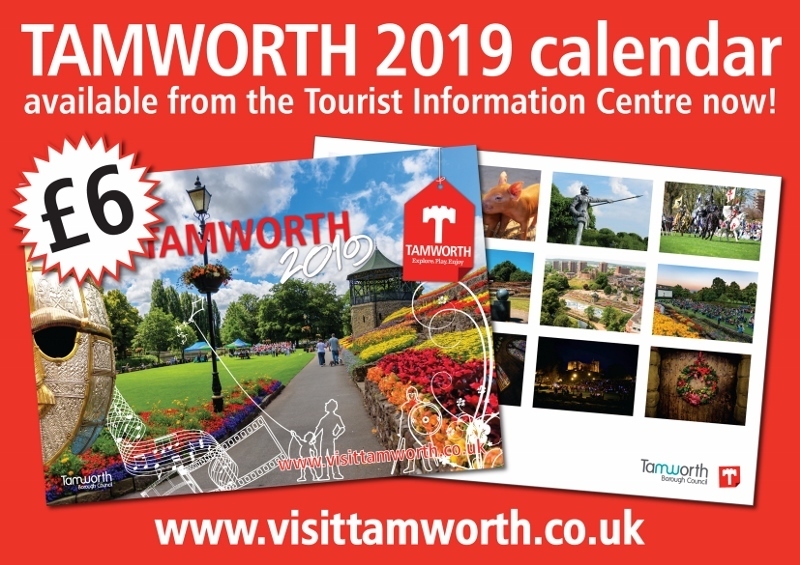 The Visit Tamworth calendar, which is now on sale following its launch in the town, has been developed by the local Tourist Information Centre team. It is made up of 12 photographs of iconic Tamworth scenes, buildings, landmarks and events. Images contained within the calendar were carefully selected to highlight some of the features that people most associate with Tamworth, often depicted in a different light or from an unusual angle. The glossy A4 month-to-view calendar opens to A3 size with an image on top and days of the month on the bottom. 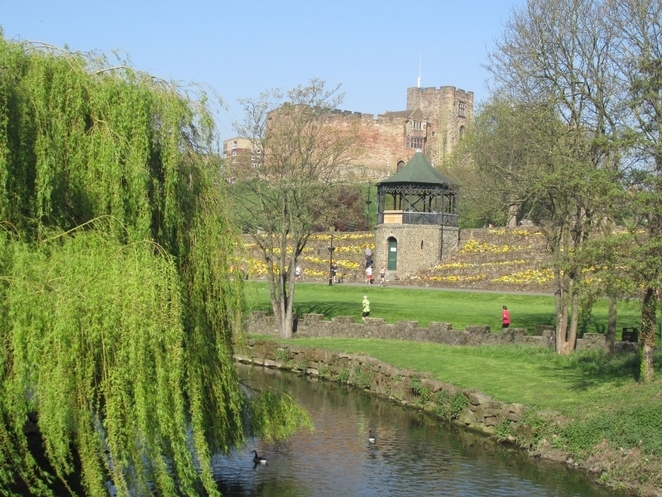 It includes aerial shots of the Castle Grounds, Tamworth Castle by night, Sandy Back piglets, a stunning image of the St Editha's Church stained glass windows and images of the town's beautiful parks and nature reserves. The limited edition calendar is priced at just £6 and can be purchased at Tamworth Tourist Information Centre in Marmion House, Lichfield Street. Councillor Steve Claymore, Tamworth Borough Council's Cabinet member for Heritage and Growth, said: "We've been through our files and pulled together a series of images which show Tamworth in all its glory. It includes a variety of snapshots of Tamworth through the seasons, which will all look wonderful hanging up in the home or office throughout the different months of 2019. The calendar will make a lovely Christmas present for anyone who loves Tamworth, including those 'Tammies' who are currently living out of the area or abroad to give them a little reminder of home every day. Some of the images are also available as postcards. The Tourist Information Centre is actually a great place to pick up a unique gift as we have a variety of Tamworth-themed items and souvenirs on sale, including limited edition memorabilia designed especially to commemorate the 1100th anniversary of the death of our Lady of the Mercians, Aethelflaed."